Silver, Gold and Platinum birthday packages are available. All our birthday cakes are designed to meet your own individual needs. 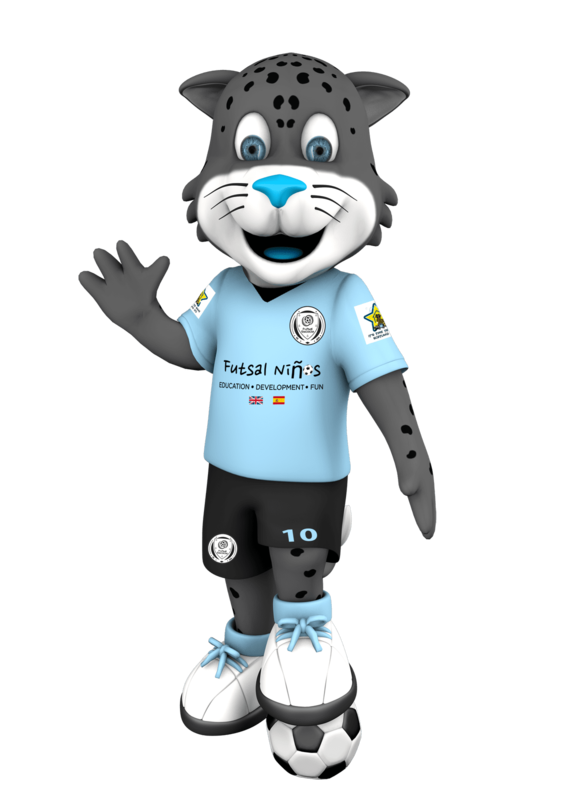 Gold and platinum packages include a visit from our very own Futsal Escocia mascot, Ricardo the Jaguar. * Hall Hire costs are not included. We can assist with venue booking. £8 per child (minimum of 10 children). One hour of futsal and fun games and competitions. Futsal Escocia medal for each child. A Futsal Escocia certificate for each child. A personalised Futsal Escocia Birthday Cake (additional £35). A visit from Ricardo the Jaguar. A special Birthday Cake (additional £50). Let us take care of everything!!! All of the gold package, including a visit from Ricardo the Jaguar. An extra special Birthday Cake. Goody Bags for every child.